Five-star guard Jalen Brunson is ready to leave the struggles of his high school junior year behind him and join Jay Wright's Villanova Wildcats. DEERFIELD, Ill. — It’s 2:53 p.m. on an overcast Tuesday in early May in Chicago’s northern suburbs, and Jalen Brunson jab steps at a folding chair set at the three-point line. He then rips the ball across his body to trigger a drive around the prop and into a soft left-handed floater. Besides Brunson and his father, Rick, who rebounds and coaches and cajoles as needed, no one else is at Joy of the Game, a warehouse-like expanse housing four full-length courts. Grunts precede every repetition and echo in the gym. The day before, Brunson ended a two-week hiatus from athletic activity—one aimed at resting and clearing his mind after a busy year—with his first weight training session since late March. As sore as he is now, though, the lifting was only the second-most agonizing test of the past couple days. A few hours earlier, he was hurting much worse. He had taken an AP calculus exam. As bad as it was—at one point during testing, Brunson caught the eye of a friend, who was shaking his head—it was also necessary. There are things the McDonald’s All-American from nearby Lincolnshire, Ill., must do to prepare for Villanova this summer. Suffering through Advanced Placement tests is one of these things. Exacting daily workouts on the floor, choreographed according to the shots and movements he’ll find in the Wildcats’ guard-driven offense, are another. Those are two reasons why he’ll be ready next season, but they’re not the only ones. His high school career featured plenty of good: He earned Illinois Mr. Basketball and All-America honors, led Stevenson High to a long-coveted state title and signed to play for a college program in a place he considers home. Yet there was also a much-dissected hand gesture during the 2014 state tournament, caught by a photographer but not by game officials, that Brunson deemed an accident. And there is the trial his father faces in late May on four charges stemming from an alleged 2014 incident of sexual assault. His life hadn’t been free of adversity, but this was the biggest challenge he has faced. He was raised to be conscientious and polished, shaped as a player by his father, who had a nine-year NBA career before coaching at the college and pro levels. While Rick was director of basketball operations at Virginia from 2007 to '09, Jalen’s prescribed workouts included running the hills of Charlottesville while wearing a weighted vest. Brunson’s mother, Sandra, shaped his outlook outside of the game, posting motivational signs in her son’s room while he slept, for Jalen to read upon waking. Once, Stevenson coach Pat Ambrose wondered aloud to Sandra about her son’s precocious maturity. She explained: With Rick traveling so often, Jalen often was her date, and she instructed him on how to greet people, how to meet their eyes and not turn his back. Beginning in 2013, his sophomore season, Brunson led Stevenson to three straight Class 4A Final Fours. In the first trip, Stevenson lost to defending champion Simeon, led by Jabari Parker; in 2014, the school lost to Jahlil Okafor’s Whitney Young team. That game was notable for two very different reasons. The first was Brunson's record-setting, pupil-dilating 56-point night. The second was a photo of Brunson with his arms in the air, apparently reacting to the opposing fan base, possibly with both middle fingers extended. Accident or not, it was Brunson’s moment to own. He was steeled enough for that. He was not prepared for what came three months later. On June 25, 2014, police arrested Rick Brunson after an April incident in which he allegedly attempted to sexually assault a massage therapist at a Vernon Hills, Ill., fitness center. He was indicted in July 2014 on charges of attempted criminal sexual assault, criminal sexual abuse, aggravated battery and domestic battery. He has pleaded not guilt to all charges and his trial is set for May 26. 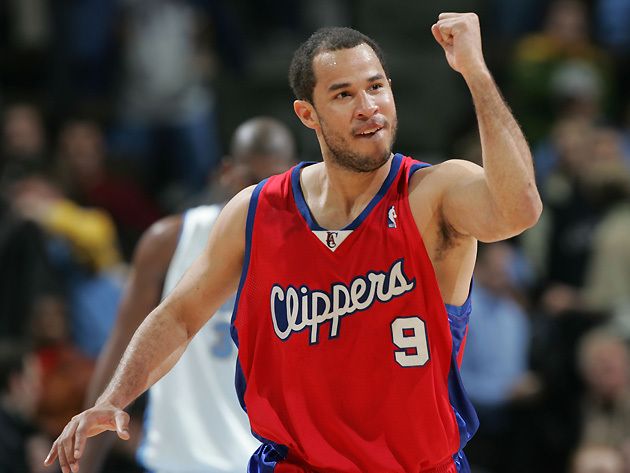 Rick Brunson played for eight NBA teams during his professional career. When he played away games last winter, some crowds were especially obnoxious: At a Thanksgiving tournament in November, fans held a blow-up picture of Brunson’s hand gesture. Then came the commentary about his father’s legal situation. “I feel bad for student sections who try to piss me off,” Brunson says. “It doesn’t turn out well.” Indeed, on that night, Stevenson rolled to a 32-point win over host Lyons. Brunson scored 30 points and hardly played in the fourth quarter. By the end, he says, frustrated fans began throwing coins onto the floor. So much about the place should be familiar. Brunson was born just across the Delaware River in Cherry Hill, N.J., and spent the first decade of his life in south Jersey. One of his best friends, Hank Davis, is a walk-on at LaSalle. He still has his Philly favorites, like Rita’s Water Ice, where he’d stop with his father for post-workout refreshment. (His family visited Philadelphia without him after the Jordan Brand Classic in April, sending pictures of Rita’s and cheesesteaks to Jalen. He was not amused.) Brunson should enroll in early July, after a likely stint with USA Basketball’s under-19 team. When it’s suggested that this is a fresh start, Brunson demurs. “I think of it as going back home,” he says. But there, he will only be counted on, not relied upon; Villanova returns junior guard Josh Hart, senior guard Ryan Arcidiacono and senior center Daniel Ochefu. And Brunson will bring along all the good while leaving behind most of the bad of the past two years. It’s now late afternoon on a gray May day, the mind-bending calculus exam and a wearying workout behind him. Brunson was prepared for all that. But now he looks across the court and to the one day he cannot figure out how to handle: Next winter, Villanova plays city rival Temple. Brunson will run up against the program that helped make the family name. He will run up against the school that laid a legacy at his feet during recruiting. He can’t escape it; Brunson notes the ‘T’ logo on the black workout pants his father wore for their gym session that very day. That one, he says, will be rough. That one, he doesn’t have a plan for just yet. That will be something new altogether.